One egg has a red dot painted on the bottom. 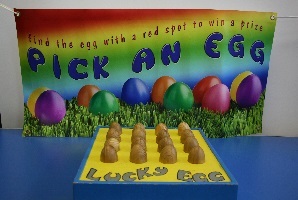 If a player picks the lucky egg, they win a prize. Wooden box, with holes for 16 eggs.